Welcome to the waterfront community of McLean, now under construction along 5 miles of pristine shoreline on Lake Wylie in Belmont, NC. This captivating setting on Charlotte’s oldest and nearest lake is being thoughtfully transformed, weaving neighborhoods and parks into its timeless tapestry. An active community like no other in the region, McLean boasts more than ten miles of trails connecting residents to its scenic landscape and the waterfront, historic homes, Daniel Stowe Botanical Garden and each other. Your new home awaits offering five full bedrooms and 4 and one half bath. The standard features in this home are tremendous but the two the that stand out immediately upon entry is the 10' ceilings and 8' doors on the first floor. 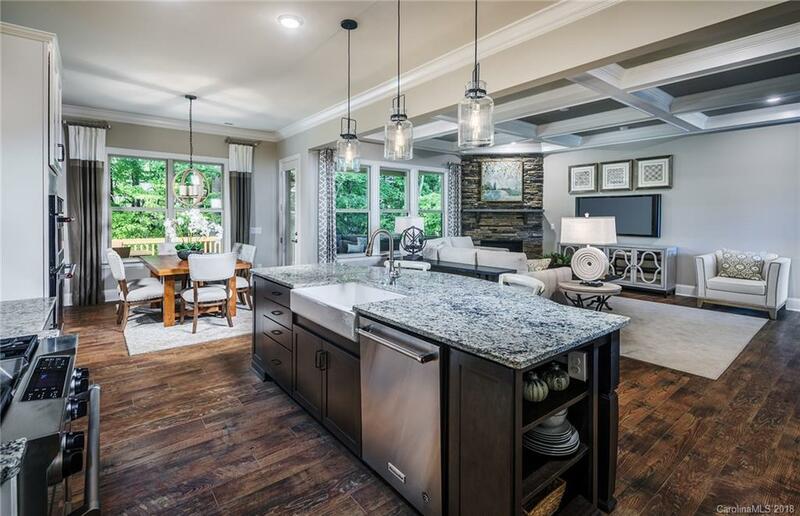 The Walden home offers many upgrades including gourmet kitchen with luxury island, custom trim including coffered and tray ceilings, crown molding on the first floor, hardwoods and natural gas.